Abu Dhabi: His Highness Shaikh Mohammad Bin Zayed Al Nahyan, Crown Prince of Abu Dhabi and Deputy Supreme Commander of the UAE Armed Forces, has ordered the establishment of “Zayed International Fund for Co-Existence” to underpin efforts aimed at promoting peaceful co-existence and fraternity among world peoples. 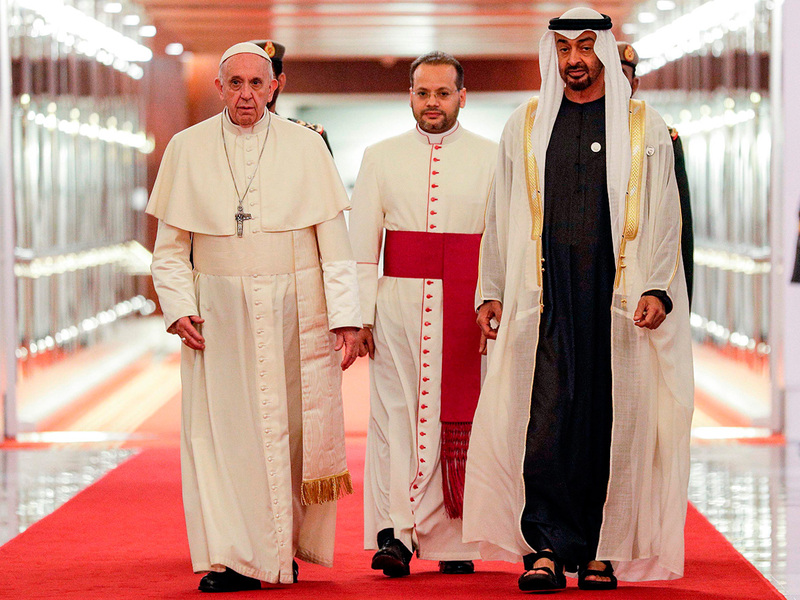 The initiative builds on the Human Fraternity Document signed by His Holiness Pope Francis, Head of the Catholic Church, and His Eminence Dr. Ahmad Al Tayeb, Grand Imam of Al Azhar Al Sharif, during their recent visit to Abu Dhabi, which saw the two leaders calling for cementing bonds of reconciliation and fraternity between the followers of all faiths and between believers and non-believers as well as all people of good will. The Fund is set to support the launch of global initiatives based on the approach featured by the Human Fraternity Document with the ultimate goal of promoting the culture of peace and tolerance across the globe. The Fund will also support efforts aimed at development of school syllabi to instill values of human fraternity among youngsters. It will also provide postgraduate scholarships to encourage students to conduct further research on the principles featured by the document. Teacher training courses will also be provided by the Fund to enable them to be true advocates of tolerance, mutual understanding and acceptance. The UAE-based fund will provide financial grants to other instantiates aimed at promoting values of peace and co-existence among world peoples and rejecting violence, hatred and animosity. The Fund will also seek to develop awareness programmes by producing annual reports, books, and translations in various languages to help promote the principles of the Document.